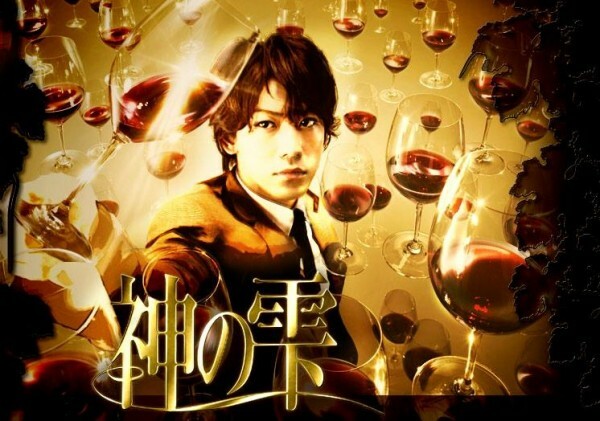 After the appearance of a vintage wine from Chateau le Puy in the finale of live-action �Kami no Shizuku� in March 2009, an undeniable increase in order for the said wine was witnessed. Around 150 orders were placed from Japan and a lot of Japanese fans even came to Paris just to purchase the vintage wine. Now, French winemaker Jean-Pierre Amoreau , even though happy and surprised with the sales, he was also alarmed and will now pull the vintage wine from the international sales. This is just a step to prevent it from becoming the collection of wealthy speculators as he only keeps a �small stock� for real connoisseurs. �Kami no Shizuku� which is also known as �Les Gouttes de Dieu� follows the story of a young man who seeks to inherit his father�s wine collection against his father�s adopted son. Their father is an acclaimed wine critic thus in order to inherit the collection, the two sons must compete in identifying 13 obscure wines. According to Glenat (localized �Kami no Shizuku� in France), winemakers that appeared in the manga reported that their Asia exports doubled or tripled. Of course, the manga�s author was really surprised that it was able to influence the French markets like this as the wine introduced in the manga were based on their personal taste. As of now, it is expected that the winemakers whose vintage wine appeared in the series will see a big jump in order, reports The Guardian. This manga was launched in 2004 and since then affected the wine sales. Tow live actions were announced for this manga in 2008, one in Japan which stars KAT-TUN�s Kamenashi Kazuya and one in Korea. It is also being reported that creators of �Kami no Shizuku� are expecting an English release for the manga within the year.